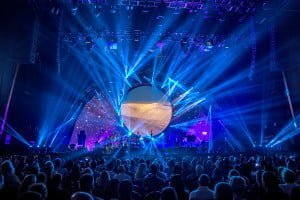 A voiceover from Stephen Hawking provided the perfect introduction to tribute band Brit Floyd’s final gig on their 2015 Space and Time World Tour at the Liverpool Echo Arena, taking several thousand die-hard Floyd fans on a journey into some of prog rock’s greatest soundscapes. 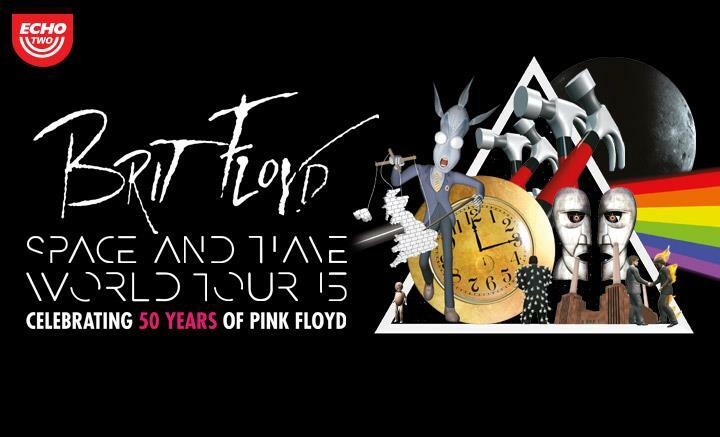 This was a celebration of 50 years of Floyd’s music, a band of seriously accomplished musicians paying homage to a tremendous range of songs, from the beauty and melancholy of Shine On You Crazy Diamond and Wish You Were Here to the all-out aggression of Sheep and Run Like Hell. There were visual tributes of original band members who have passed away: keyboardist Richard Wright and, of course, Syd Barrett, for whom the Brits’ own video for See Emily Play, which looked like it might have been filmed in the woods of North Wales, was an amusing tribute to a typically quirky Barrett tune. Brazilian backing singer Lilian Ximenes deserves special praise for a spine-tingling version of Great Gig In The Sky; it’s not easy following in Clare Torry’s footsteps! And recent recruit Edo Scordo recreated some brilliant Dave Gilmour-esque guitar solos. Surprising highlight No. 1: Set the Controls for the Heart of the Sun, recorded for the band’s second album A Saucerful of Secrets, just as Barrett was disappearing from view, was a reminder of the original and trulymind-bending music that was emerging in the late 60s. Surprising highlight No.2: A moving revival of the title track of The Final Cut, that most unloved Floyd album, a poignant lament for lost love during wartime. Trial, in which Ian Cattell excelled as the demagogue showman ‘Pink’ conceived by Roger Waters for Floyd’s controversial rock opera. And when it was nearly all over, musical director Damian Darlington gathered his band and backing singers together for an intimate farewell with Outside The Wall. 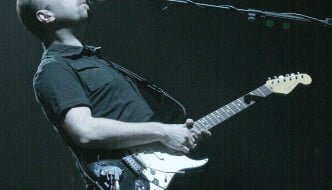 Brit Floyd have run out of time on this world tour, but they’re sure to be back.